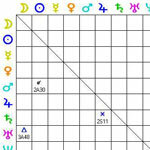 The key stitch used in weaving the fabric of astrology into business and vice versa is that of mythological metaphor. 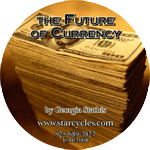 The oldest of stories have amazing correlations to modern day astrological business analysis. This applies particularly to the areas of vocational astrology and is used in such things as timing and marketing planning for small and large businesses as well as contracts and purchases. To know the sky, to know its stories, is to be able to successfully delineate the rich metaphors found in either a business horoscope or an individual’s horoscope who is seeking business and vocational help and direction. Another one of Georgia’s gems.